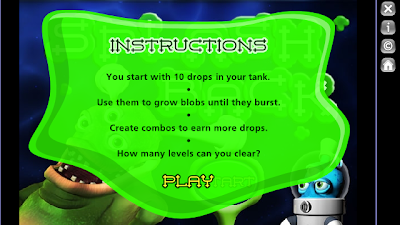 The instructions for playing the game are simple. 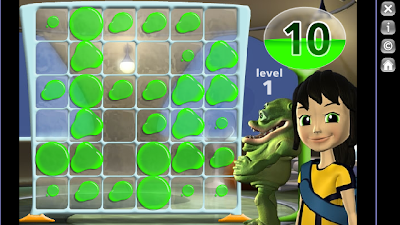 Add drops to blobs to make them grow larger & then explode, thus clearing the game board. How many levels can you clear before you run out of drops? Each level will start with a handful of ready to burst blobs but most will need to be grown larger first. You will need to choose wisely because you can quickly use your drops supply up if you are not careful! To add a drop just click on the chosen blob.